Nine-year-old Nicholas Benedict has more problems than most children his age. Not only is he an orphan with an unfortunate nose, but also he has narcolepsy, a condition that gives him terrible nightmares and makes him fall asleep at the worst possible moments. Now he's sent to a new orphanage, where he encounters vicious bullies, selfish adults, strange circumstances -- and a mystery that could change his life forever. Luckily, he has one important thing in his favor: He's a genius. On his quest to solve the mystery, Nicholas finds enemies around every corner, but also friends in unexpected places -- and discovers along the way that the greatest puzzle of all is himself. 9-year-old Nicholas Benedict has a problem. He falls asleep when he gets emotional and sometimes sees an old hag in his sleep and wakes up screaming. Because of this, the director of his new orphanage makes him sleep locked in a faraway room. Nicholas, however, is incredibly clever so he quickly makes a key that allows him to get out of his room at night. He learns about a treasure believed to be hidden somewhere in his orphanage. He becomes determined to solve the mystery and find the treasure. 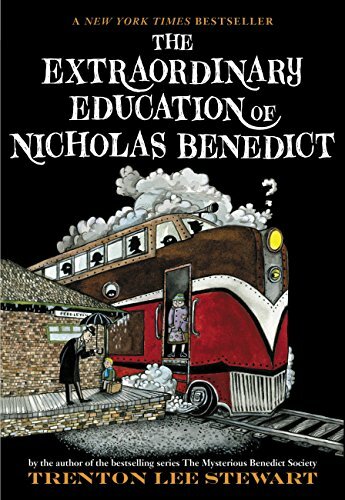 The Extraordinary Education of Nicholas Benedict is the prequel to the three Mysterious Benedict Society books. Instead of many puzzles to solve, there is one huge puzzle in this book. It is fun to try to solve it along with Nicholas. The story is engaging and though it is written for children, it is enjoyable for adults as well. My 8 and 10 year old sons loved it, as did I. I highly recommend this book to people of all ages, but read the other three Mysterious Benedict Society books first! I first heard about the Mysterious Benedict Society on Diane Rehm's Back Seat Book Club. The conversation that day was really interesting, so I picked up the book and read it. And then I passed it on to my kids. My kids LOVE the adventures upon which the kids in the book embark. They see some of themselves in many of the characters. This book was purchased for my son for his Easter Basket, to complete his series. He has plowed through it, and is on the second read. SO FUN! We recommend this series to anybody who might be interested. I met Trenton Lee Stewart after a concert in central Arkansas several years ago. It was a funny experience because I had not read much of the Mysterious Benedict Society (if any of it) and I knew he was famous for it but couldn't think of anything to say to him. I wanted to smack my forehead afterward because it was silly to have a chance to rub shoulders with a literary celebrity but waste the opportunity by several moments of silence. Anyway. I read the MBS series and thought they were good. A little hard to get into sometimes, but my sons love them and have read them multiple times. But then they persuaded me to set aside my grownup fare and read THIS book, insisting it was Stewart's best yet. I read the first chapter and found that I couldn't put it down. It has a narrative pace that is much more compelling than the MBS books. Its characters are more real. Its plot has neatly executed intricacies that satisfy. Its message is uplifting and inspiring. I agree with my sons -- this is Trenton Lee Stewart's best work thus far! 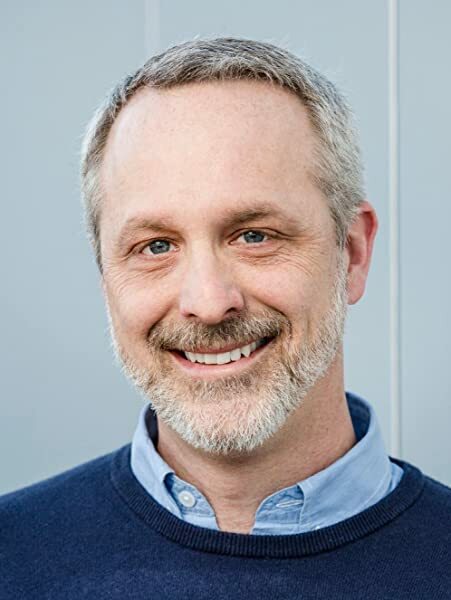 And now if I were to meet him again, I would have plenty to say to him, including to express my hope that it has been submitted to the Newbery committee. It is every bit as good as Louis Sachar's "Holes"; in fact I like it even more because of its power to make me want to be better, kinder -- to use my gifts to help those I care about, like Nicholas Benedict. 5つ星のうち5.0Two thumbs up from a teacher! My daughter is a 4th grade teacher who likes to keep a well-stocked bookshelf in her classroom. She reads everything she puts on that shelf and she is a huge fan of the Amazing Benedict Society books. In fact, I've purchased 2 sets for her - one for the school, and one for her home shelf! My 9-year old granddaughter isn't quite ready for them yet, but she's close! 5つ星のうち5.0Friendship, mystery and SAT prep! I asked my two boys what their favorite thing about the book was. Ten-year old: Nicholas's great ideas and narrow escapes. Twelve-year old: all the emotions in the story. I, the parent, enjoyed multi-dimensional characters learning about themselves, each other and how to treat others. I also enjoyed the SAT style words to expand our vocabularies.